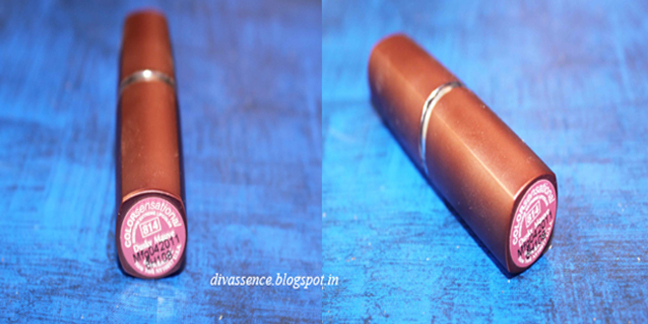 Guest Post: Maybelline Colour Sensational Moisture Extreme Lipstick: Dusky Mauve: Review/Swatch - Divassence! Hi all! 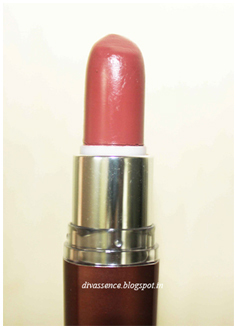 This is my first review, hope it will be useful, please share your comments and suggestions 🙂 Now moving on to the review, the product I’m going to review today is one of my all-time favorite lippie “Dusky Mauve” from Maybelline Coloursensational Moisture Extreme range 🙂 I’m sure most of you would already be having atleast one lipstick from this range in your vanity case, they are the best when it comes to drugstore lipsticks but Faces is giving them tough competition now. Anyway, coming back to the review.. Here comes the best part, it’s a wearable mauve shade which I’m sure anyone can pull off with ease. It’s a combination of mauve + a hint of pink. When worn lightly it gives a very natural mauve-y pink tint to the lips, which I absolutely adore! It is very pigmented and a single swipe can give you an opaque coverage, so girls with pigmented lips go grab one of these! These are the two main cons of this lipstick. The packaging is very boring, a dull brown lipstick case doesn’t appeal to me much. It lacks good looks but the case closes tightly and the cap is not loose making it very travel friendly. The staying power is below average 2-3 hours on an average due to its creamy texture. The glossy finish disappears in an hour and a half. It starts fading evenly without being patchy.